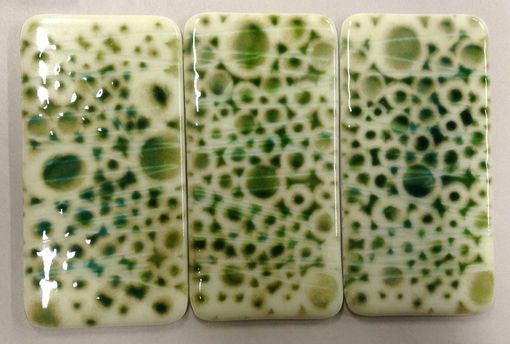 These fused glass tiles are part of a commissioned public art project, and are an example of my fused glass tiles and wall panels. The fused glass tiles play off of my fused tubing series and cyanotype print series, acting as shadow prints of my fused glass tubing panels. The tiles display my interest in circular pattern and surface detail. 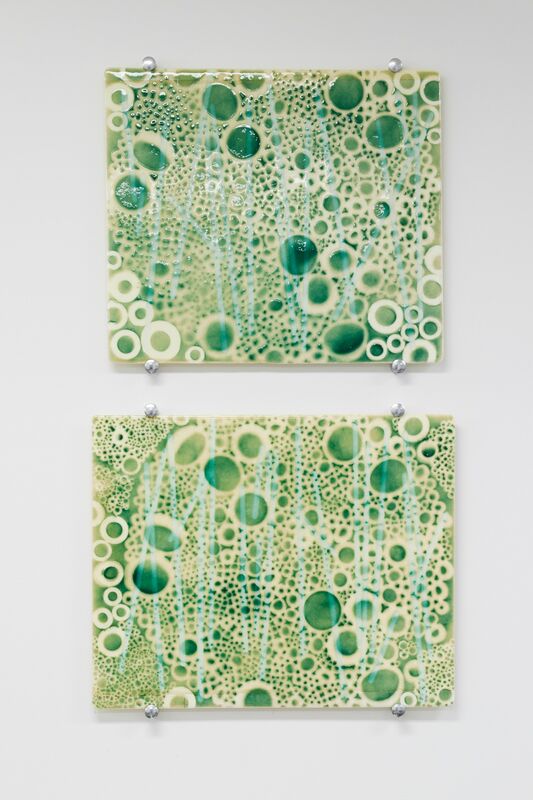 These unique glass tiles can be used in backsplash projects or as sculptural wall pieces, and can be customized for a particular space. The size of these panels are 20"h x 21"w x 0.25"d and start at $550 each. The panels can be customized for color and size.